In the scene where King Longshanks reads the note "Wallace has sacked York" and lifts the dismembered head out of the bucket, the American network TV version superimposes an unbroken shot of the back of the head, instead of the front as in the theatrical version. When Cheltam gets ready to lead the English charge at the Battle of Stirling, Lord Talmidge yells to Cheltem, "What are you waiting for? Lead them!" 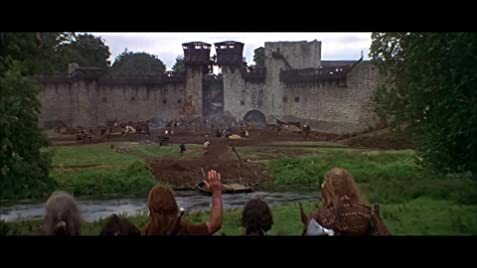 Before the Battle of York, Wallace tells his men that they will be more merciful than the English. They will spare the Women and the Children. To all else....No Mercy! Wallace talks at the campfire about how the graves of his father and brother were desecrated by the English. After the scene of Wallace in the Grove, Murron is captured and is sitting inside the Lord's keep and he is talking with her. He says to her, "What's your name girl? Don't you want to tell me your name? (He sits in front of her) You're married, you wanted to keep it a secret eh? I don't blame him, I'd want to keep you for myself as well." Q: How many horses died in the filming of this movie? 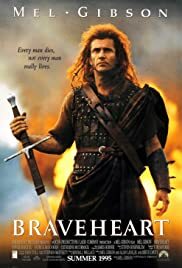 Q: Is 'Braveheart' based on a book? 302 of 518 people found this review helpful. Was this review helpful to you?